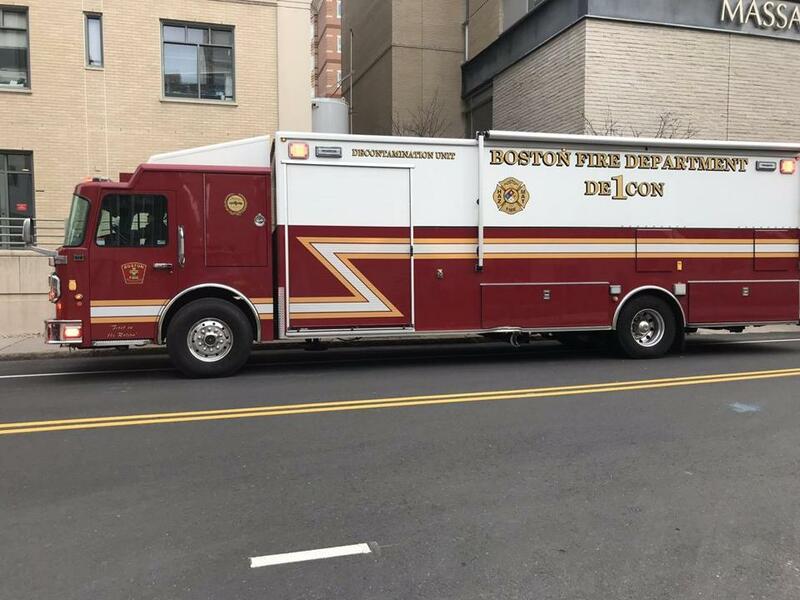 Employees at a Brigham and Women’s Hospital building on Longwood Avenue have returned to work after a chemical spill forced a precautionary evacuation Thursday morning, a Boston Fire Department spokesman said. Shortly before 9 a.m., a worker spilled about 2 liters of hydrochloric acid on the floor of the lab, located on the fourth floor of the hospital building at 221 Longwood Ave., said Firefighter Brian Alkins, a department spokesman. That person called 911, and firefighters responded to the scene, Alkins said. The incident was reported at 8:46 a.m. and declared a level 2 hazmat situation. The building houses research labs and patient areas, but the spill “was nowhere near the patient department,” Alkins said. No one was injured by the spill, he said. Parts of the building’s third and fourth floors were evacuated as a precaution, but people have been able to return to the building, he said. Firefighters used a chemical to neutralize the acid and checked air quality in the building to make sure it was safe, he said. A private clean-up company is clearing what is left of the spill, Alkins said. Hospital spokeswoman Elaine St. Peter said there were no injuries and no patient areas were affected. “The small spill was cleaned up and is under control,” she said.